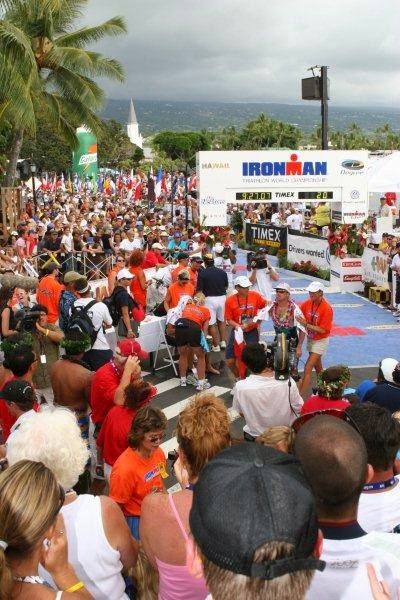 As every year since 1998 a brief and crisp outlook and guess on the 2015 IRONMAN World Championship race, coming up 10th of October 2015 is available on 3athlon. The global weather phenomen El Niño is already having an impact on the climate in Hawaii. A hot and humid summer was followed by a lot of rain on the Big Island - the lava is green like never seen before the last decade. Race day is expected to be a bit "cooler", cloudy, less humid with solid wind. A setup for strong athletes like defending champion Sebastian Kienle, runner-up Daniela Ryf and "bigger" athletes like Andy Potts, Jan Frodeno or Caroline Steffen. So, who is gonna win, based on last years Kona performance and overall progress the last 12 months? Putting controversial race marshall judging or mysterious technical issues right in or out of T1 aside all eyes are for sure on Mirinda Carfrae and Daniela Ryf as well as Sebastian Kienle and Jan Frodeno. These Aussi-Swiss and German-German Doubles are spiced up with last year's top 3 Ben Hofmann and Rachel Joyce. We'll see - again - a fast female wire-to-wire like race. On the men's side, spectators could miss all that tactic in a big group on the bike due the fact of some serious swim-bike- (runners) in the mix. If the wind is there, they might crush the Hawi train pretty early already around Kawaihae. Changelog: no chances so far (based on withdraws, injuries, or other issues), afecting our top 10.